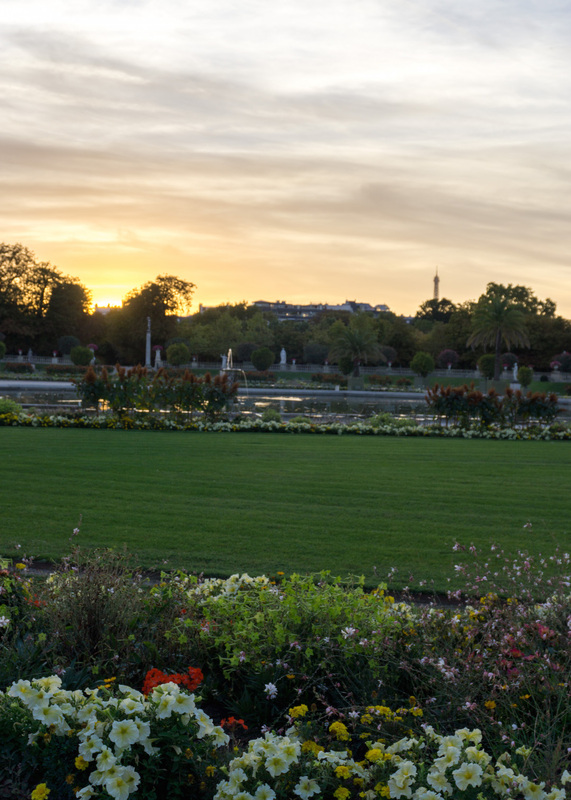 Paris, the City of Lights, could just as easily be called the City of Gardens. It’s hard to walk half a mile in Paris without stumbling into a lovely garden. It may be a gorgeous garden full of flowers and statues – fit for a Queen. Or it might be a sweet little hidden garden, luring you with promises of solitude. 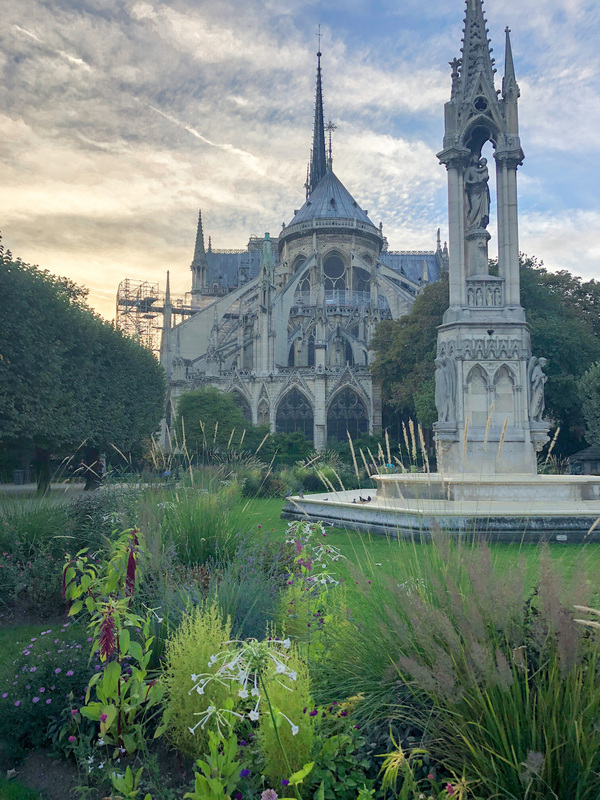 Maybe it’s a garden with stunning views of the Notre Dame, nbd. Or maybe it’s filled with rows of tall trees that create magical long pathways. 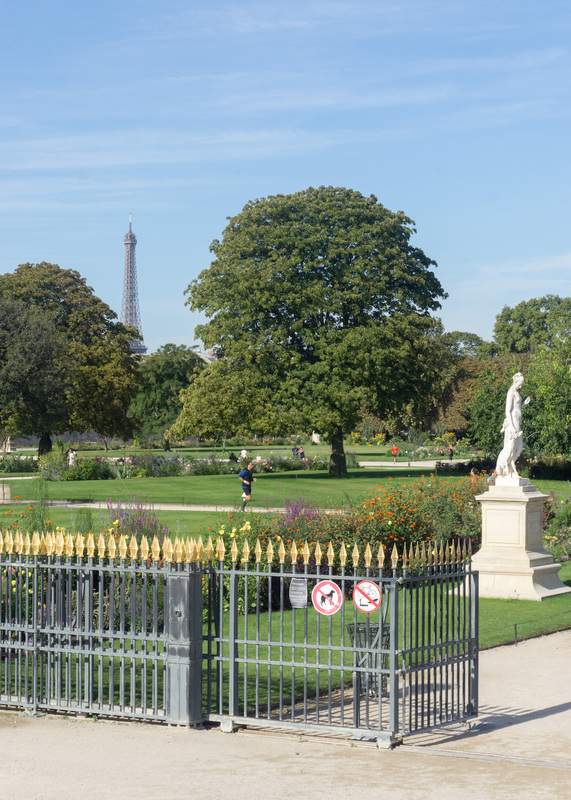 Oh but it’s Paris, so you can be sure that the garden is delightful, whatever else it might be. The iconic green chairs, ponds that crop up out of nowhere, lovely little carousels and smiling, relaxed people will make sure that you remember your garden visits for years to come. 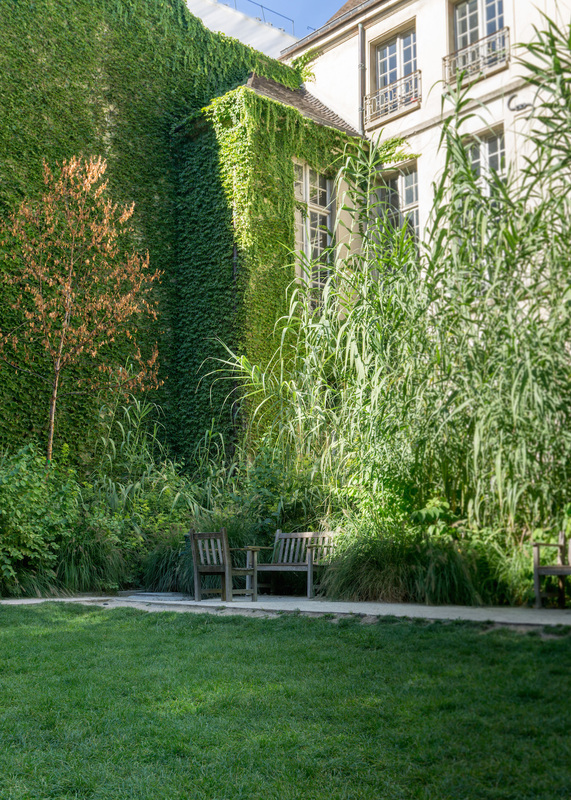 Here are my favorite gardens in Paris. Add them to your list for when you visit, and if you love some others, let me know, so I could add those to mine! My favorite garden in Paris is probably my favorite because only locals seem to know about this. It’s tucked away on the busy Rue des Rosiers. However, if you didn’t know about it, and didn’t have your eyes peeled for unassuming French signs about gardens, you would stroll right past! This is a garden where you take some croissants, a coffee (maybe from Boot Cafe) and a good book, ready to while away the next couple of hours. 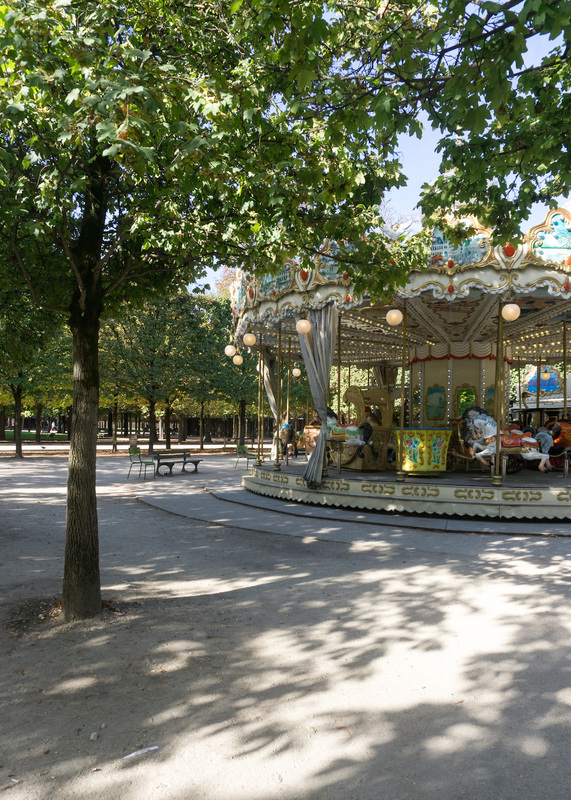 It’s a garden of peace, interrupted only by cute little Parisian children playing. Definitely peek by this garden if you have some time, you won’t be disappointed! 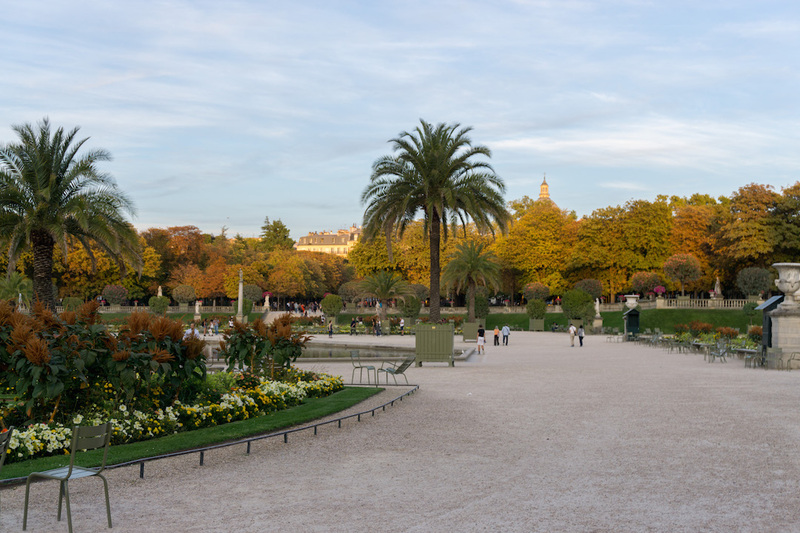 The Jardin du Palais Royale is a delightful Parisian garden in the 1st Arr. It currently, very aptly, houses the Ministry of Culture. At one end of the garden is a cool square with black and white columns – simply perfect for pictures! Once you walk through this square, you stumble into the real star of the show. The quiet tree lined gardens, where on a Sunday morning, you can hear the rustling of the leaves and the chirping of the birds. A happy child’s laugh might flutter past, and joy is carried by the wind. There are benches if you need them, and one of the best of Parisian coffee shops awaits. I was as much delighted by the beauty of the Palais Royale, as by Cafe Kitsune. This popular (rightly so!) 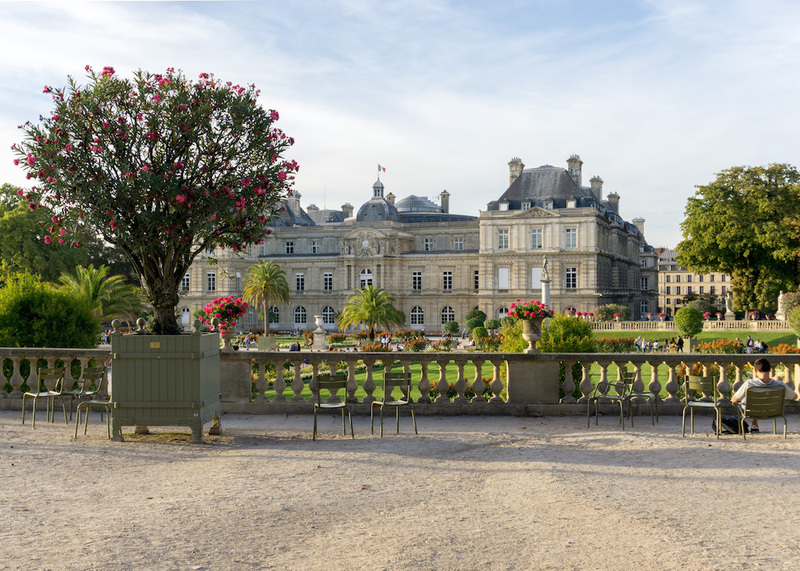 cafe is located in the buildings by the Jardin du Palais Royal, and their seating opens up into the garden. They make excellent cappuccinos. 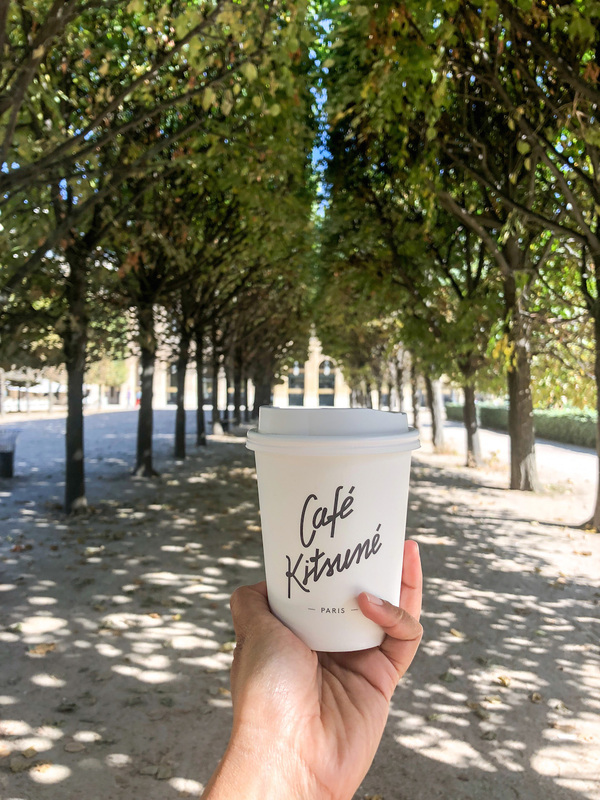 If you like coffee, and if you even tolerate gardens – please put this on your Paris map. 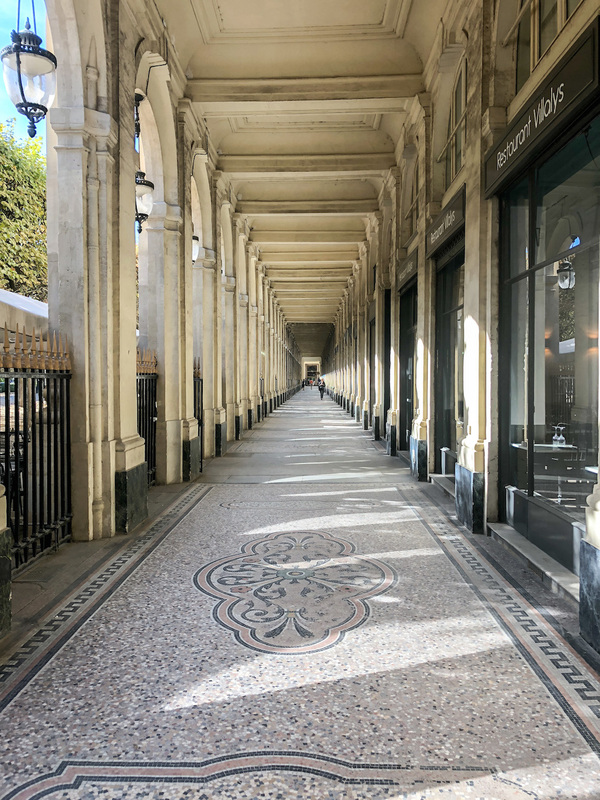 Tip : Head to the Galerie Vivienne after your visit to the Palais Royale. It’s simply gorgeous. 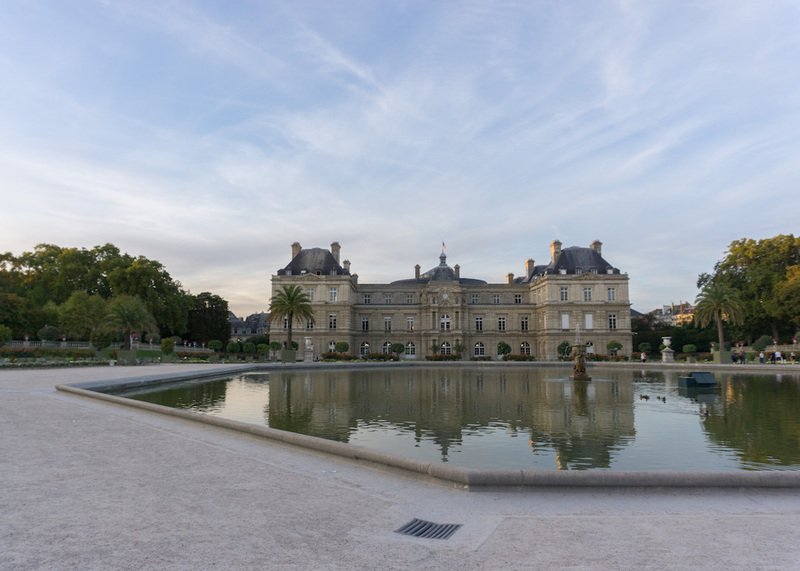 The Jardin du Luxembourg needs no introduction. It was created in 1612 and has continued to delight ever since. This is a large garden, with plenty of beautiful statues, lovely orchards, a pond and of course a palace. It’s perfect for a picnic, and especially beautiful around sunset. Be careful though – the garden closes at dusk, so you will be kicked out if you overstay your welcome! Get there early enough to stroll through the different parts of the garden, then choose your favorite to enjoy your bread, cheese and wine! Tip : There’s a cool little champagne store across from the garden on Rue de Medicis. 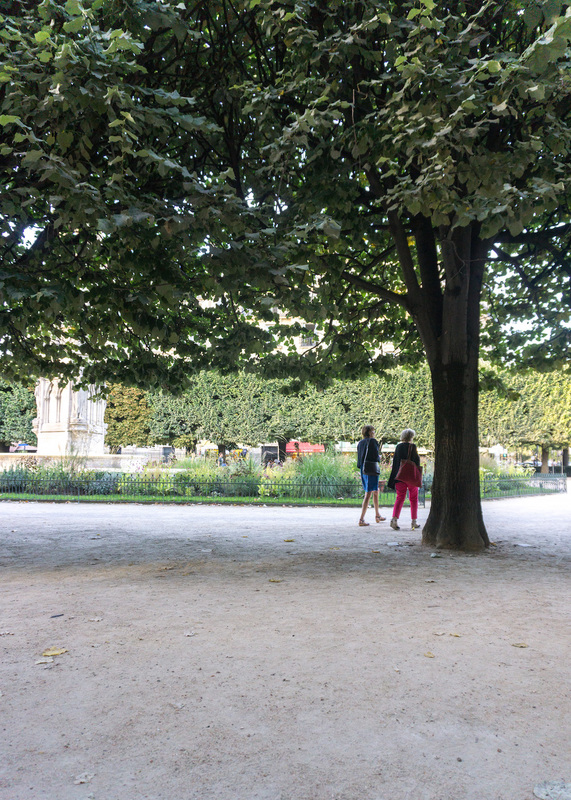 I have to admit that the Jardin des Tuileries is the most bang for your metaphorical buck. 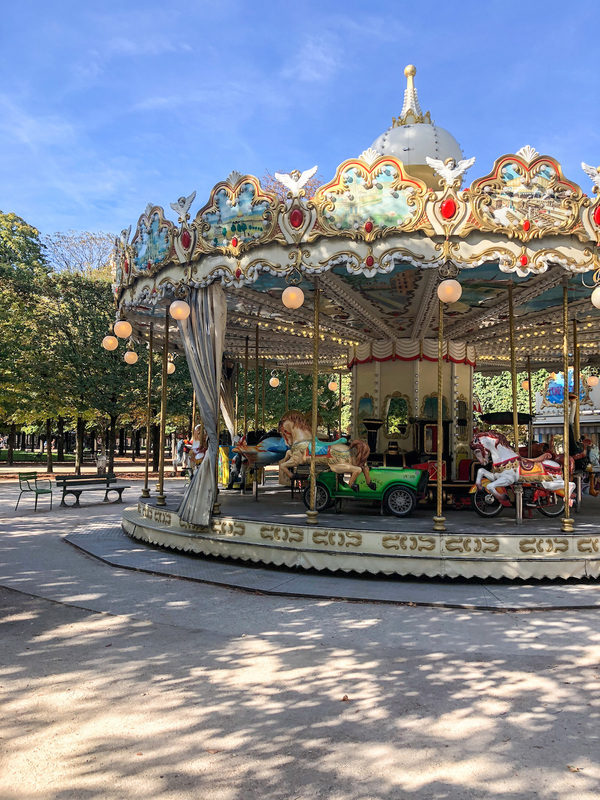 It sprawls from the Place de la Concorde to the Louvre, and is filled with such delights as ponds with ample seating on green chairs, views of the Eiffel Tower, carousels, statues, flowers and little cafes selling champagne. 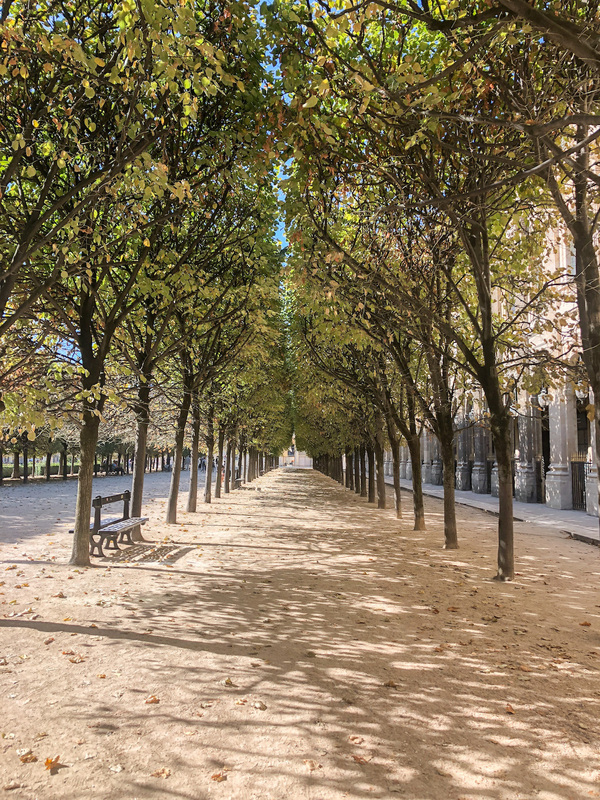 We had such an amazing and relaxing walk through this garden to get to the Palais Royale! I also tested out the carousel (for you, dear readers) and can confirm that it’s excellent fun. In my opinion, these squares are the best place to experience the Notre Dame. 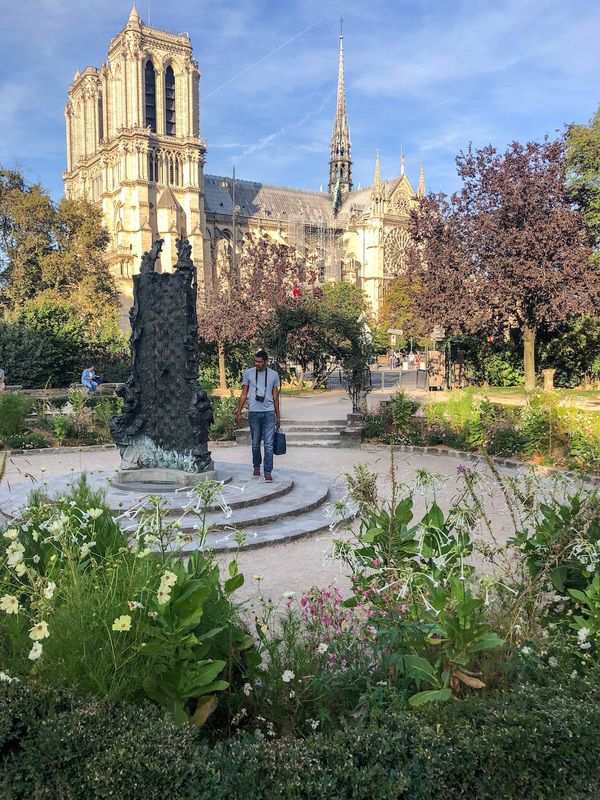 The Square Jean XXIII garden is behind the Notre Dame, so you can see the most interesting parts of it, and hear it’s beautiful bells toll. Luckily, the tour busses don’t stop here, so you get to enjoy it in peace. It’s not a huge secret though, this garden is beloved by couples and wedding photographers. The Square Rene Viviani is on the left bank and has a lovely side view of the Notre Dame. It’s smaller, and even less frequented than the Square Jean XXIII. As a bonus, it’s very close to my favorite bookstore in Paris (and maybe in the world) Shakespeare and Co. 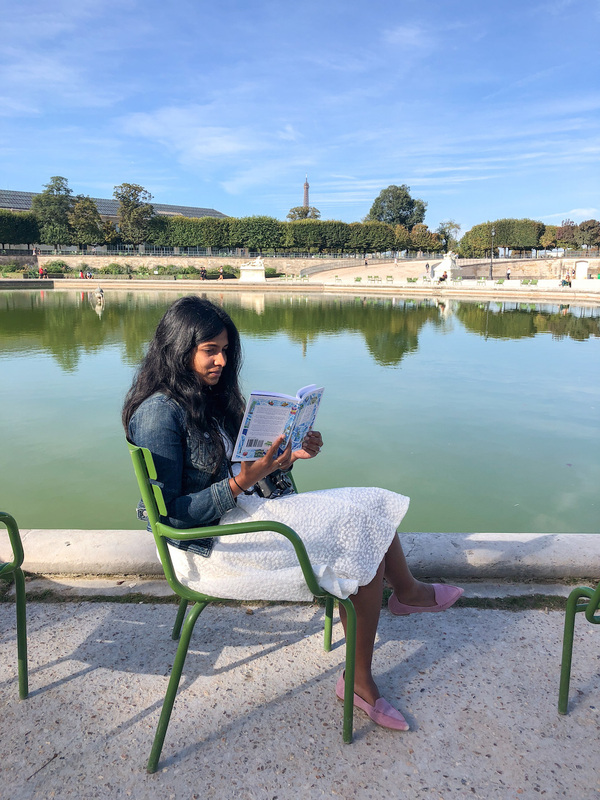 Pick up a book, and head to this park for a relaxing read! 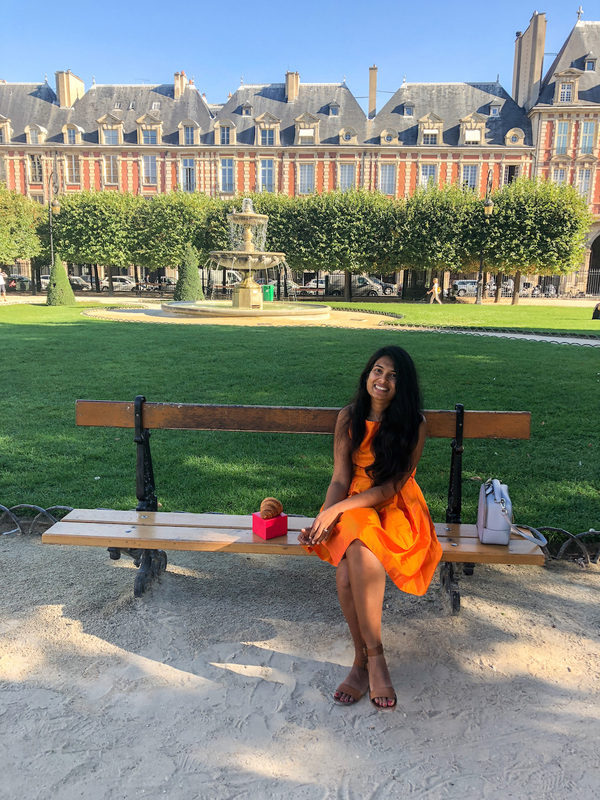 The Place des Vosges is a peaceful and lovely little spot to people watch – a square full of history, fountains and lush green lawns. 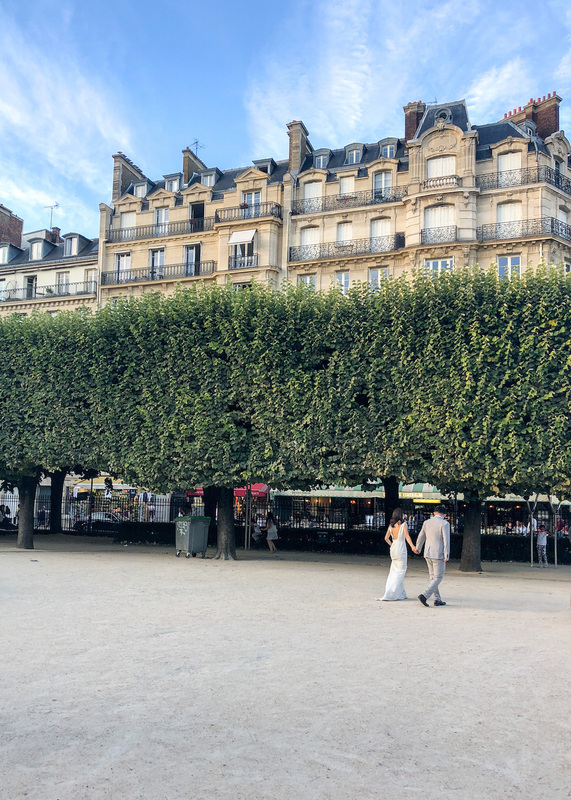 I especially loved the symmetry, the square with four fountains and a statue of Louis XIII in the middle, is surrounded by beautiful trees and yellow-orange buildings. We went around lunch time with our picnic blanket, delicious treats from Sacha Finkelsztajn bakery and cappuccinos from Boot Cafe. It was so nice to see everyone enjoying their lunch as a picnic in the park, soaking in the last bits of summer. 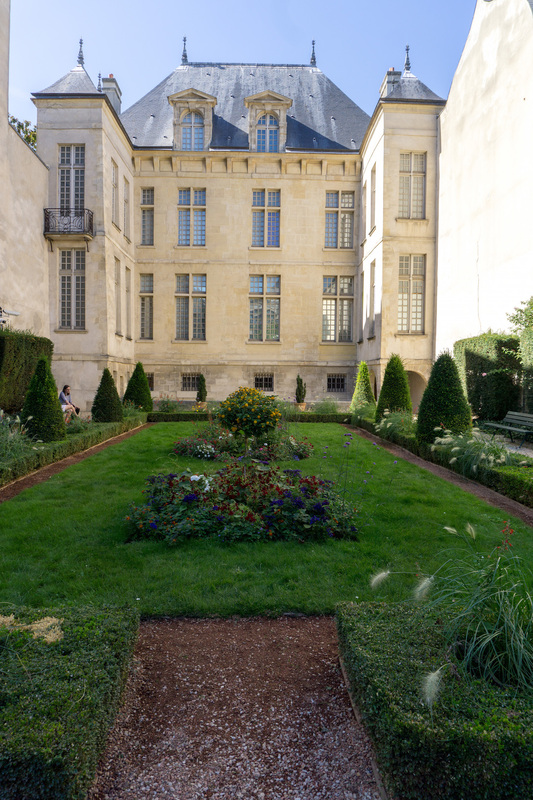 This is an almost secret garden in Le Marais. Set at the back of the Museum Cognacq-Jay, it can be entered on 9 Rue Payenne. It’s a small garden, but lovely nonetheless. The benches invite you to stop and catch a breath during your Le Marais explorations and contemplate the beauty around you. So – which one do you think would be your favorite garden? Let me know in the comments! Which garden do you think you’d like the most? Omg, you are posting so fast, I cannot keep up! Once again, you guys managed so see so much in a short time- by now I believe you have supernatural organizational skills. 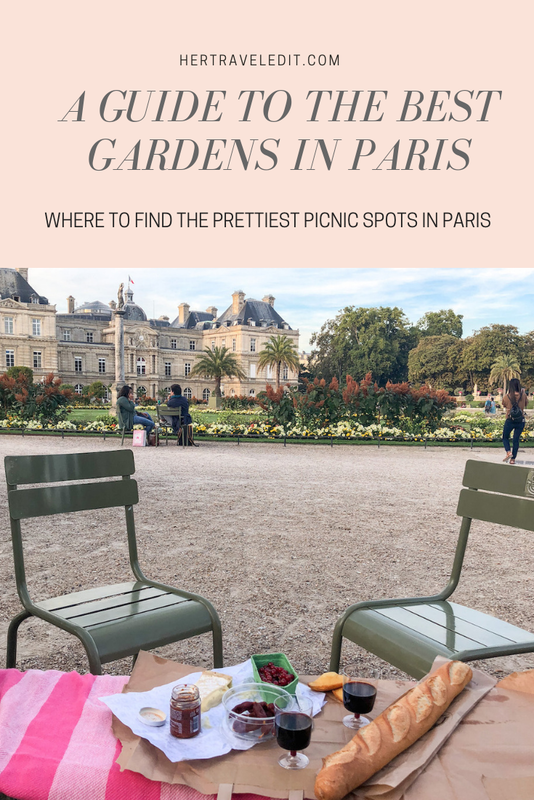 🙂 That picnic in Jardin du Luxembourg looks perfect (a combination of brie- is that brie? and red currants sounds interesting), I wouldn’t ask for anything else. 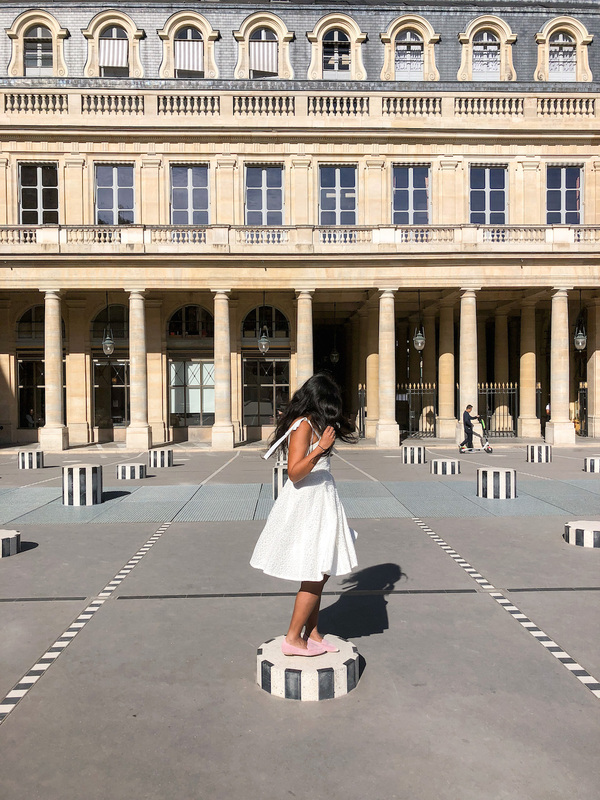 When I visited Paris as a student on a field trip, we also took photos on those black and white columns in Jardin du Palais Royale (I just remembered I had almost black hair with bangs back then, I should reconsider that haircut :D). Anyhow, do I have to mention I’d like to go back to Paris now? Sorry for the late reply! Haven’t been doing much with the blog lately, just as you congratulated me for posting fast lol. 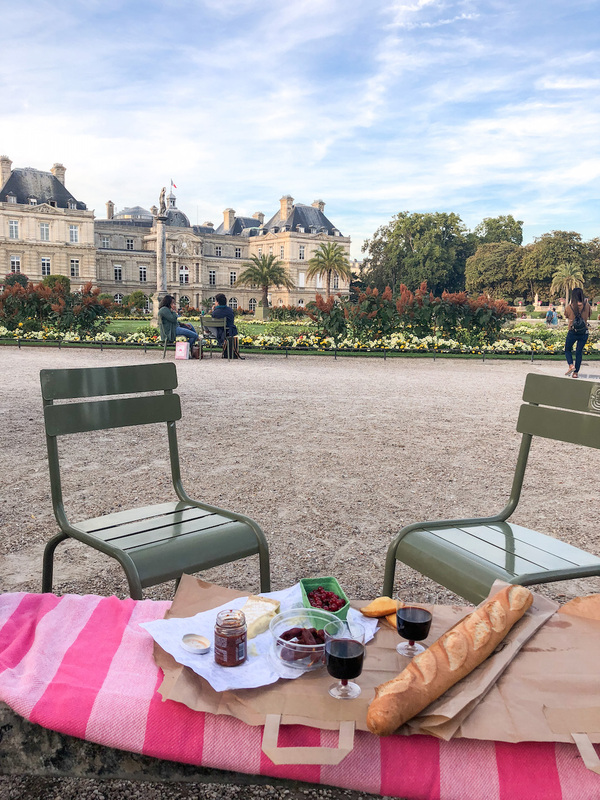 The picnic was amazing, but we didn’t realize we would get kicked out at sun down, so it ended quickly 🙁 Here’s the story of the brie (yes it was brie) – We bought it on our second morning, and didn’t realize what a strong smell it had! But we (Andrew) carried it everywhere for the next two days till we finished it – and I could always tell where he was because of the smell! Also, I’m imagining you with bangs, and I think it would be so pretty! Loved the blog, really offbeat Paris!! 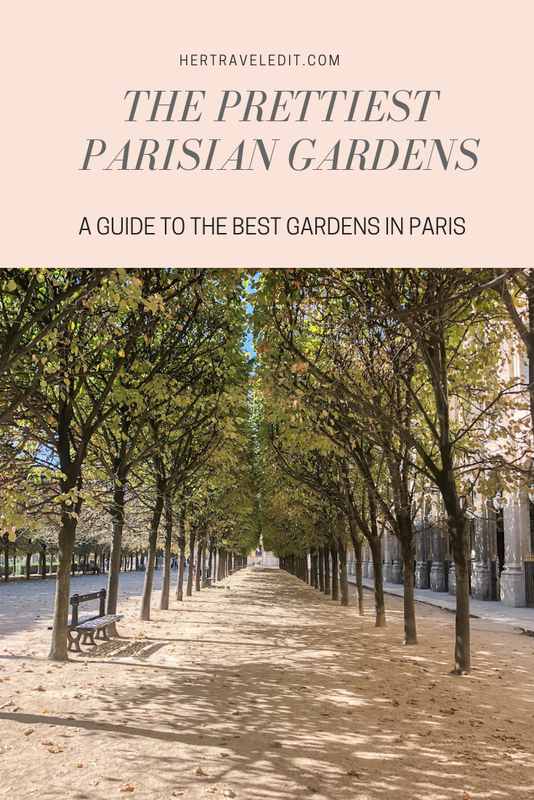 Detailing of the Parisian gardens is amazing and you are right about the gardens in Paris. Loved the Blog ! really offbeat Paris! Amazing details of the beautiful gardens and yes, you are right about the number of gardens in Paris. You can add one more to this: Parc Montsouris near Cite Universitaire. You can add one more to this: Parc Montsouris near Cite Universitaire. will definitely check it out next time I’m in Paris! 🙂 Thanks for the suggestion!